The guys at Little Dot have earned quite solid reputation among audiophiles on a budget because of their no-nonsense products, mostly headphone amps, preamps and DACs. 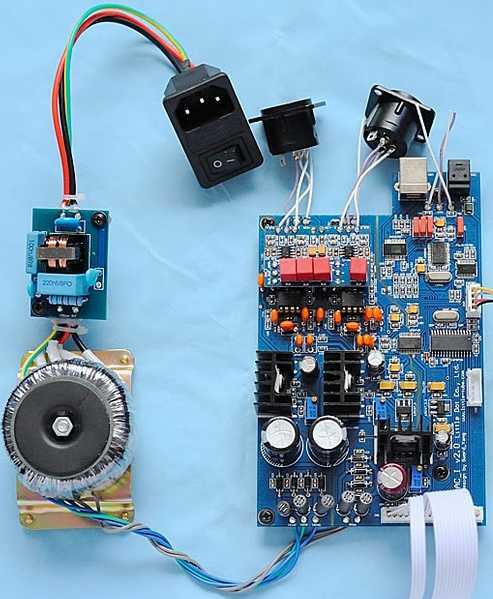 They proudly call themselves Boutique audiophile amplifier builders. Earlier this year they've started to sell a CD transport + DAC combo, at the unbelievably low price of 548 USD (that's less than 400 € nowadays! ): a too intriguing deal to let it escape from my hands. Perhaps it is not a digital source within the T-Amp price territory but for sure it is the least expensive transport & DAC combo that I'm aware of. It is priced like an entry-level integrated CD player and it offers much, much more as we'll see. The two units are quite on the small side, measuring just 275mm (L) x 217mm (W) x 61mm (H) [14.37 inches (L) x 8.54 inches (W) x 2.4 inches (H)]. The CDP_I weighs in a mere 2.1 kgs while the DAC_I hits the scales at 2.0 kgs. The usual functions are also duplicated by micro-switches in the front panel of the main unit. In the rear you have the IEC mains socket, activated by a on/off switch and three digital outputs: coaxial (RCA), BNC and toslink (optical). The small display gives all the necessary informations you might need. The CDP_I transport also reads CD-R's and CD-RW's. The manufacturer claims the CDP_I to be coupled with isolated, bit-perfect digital output, excellent signal isolation and jitter rejection. DAC_I. The DAC_I uses the very same cabinet of the CDP_I. The front panel is less crowded, with just two micro-switches (to select input and sampling functions, more on this later), a small display that shows the operating mode of the DAC (selected input, sampling etc.) and a led that indicates when the unit is switched on. The rear panel is much more crowded: you find the IEC mains socket with its on/off switch, two pairs of analogue outputs (unbalanced RCA's and balanced XLR's with Neutrik's) plus FOUR digital inputs: coaxial (RCA), BNC, Toslink (Toshiba optical) and even USB! All the connectors appear to be of good quality. BNC and USB cables are supplied. 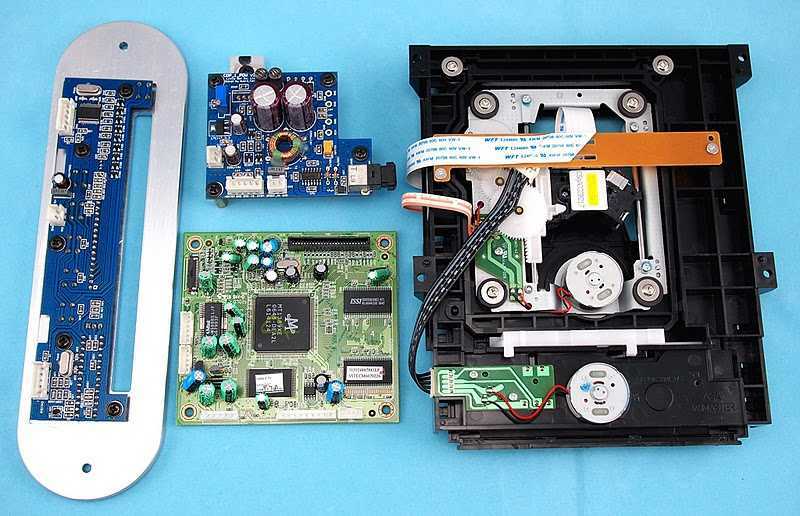 Inside, you can find a Wolfson WM8740 high quality 24-bit 192Khz DAC chip, WM8805 ultra-low jitter (50ps) digital transceiver chip, and the low distortion LM4562/LME49720/LME4910 op-amps. The WM8740 DAC is used on many CD players, for example: Cambridge Audio 540C v.2, Cambridge Audio 640C v.2, Cambridge Audio 650C and 740C, Arcam DiVA CD73. Arcam FMJ CD36 (and many other Arcam's), Rega Apollo. On the DAC_I a dual crystal re-clocking circuit should help in getting jitter-free signal. Passive components are of good quality too, as low tolerance resistors, WIMA coupling caps, ELNA and NISSEI filter caps. Both units are supplied with all the necessary cables and two complete owner's manuals. Little Dot gear can be bought directly from the factory or even on their Ebay store. Shipping the two units from China would cost 50$/each, more or less. Otherwise, at present, they have just two authorized dealers: Soundsight Focus (Australia) and Ken Tamura (Japan). In Europe the pair CDP_I & DAC_I can be purchased online at Audiophonics (France) for 539 € (+ shipping). The CD transport and the DAC can be purchased separately. You need to specify which kind of mains voltage you need (110/220/240 V etc.). Both units are shipped with USA/Japan/Taiwan standard power cords. If you need a European (say, Shuko) power cord you should purchase it separately (or use one of the many leftovers you should have at home). If on the chance a functional problem arises within the first 3 months (we've found that if issues occur, the vast majority crop up within the first month or two) of your warranty period and you send it back to us for repair, we will reimburse you the full return shipping amount once we receive it so there is absolutely no out-of-pocket cost to you! From 3 months until the end of your warranty period, if a functional problem arises we will reimburse you for half of the return shipping cost once we receive it. From warranty expiration to as long as you own your Little Dot, repair/labor/parts are always free - the only thing you are responsible for is shipping costs. 30 day money back guarantee. If you are not completely satisfied with your Little Dot amplifier, you can return it to us for a full refund of your purchase price. The two units are extremely attractive and quite easy to use, though the various options of the DAC_I can be a little bit mind-puzzling for novices (more on this later). The CDP_I takes nearly 30 seconds, after it has been switched on, to be fully operative. I don't know whether it is a matter of warm-up or firmare control operation...but it is quite a long time to wait. In the meanwhile, the unit doesn't accept any kind of owner's input. Even loading/unloading a disc isn't exactly lightening fast: if you're used to the quick response of a, say, Philips CDM-1 transport, or of a Linn Mekk transport...you'll be surprised by the lazyness of this Daisy GF-8. The CD tray is a slice of plastic that doesn't look solid but it proves to work flawlessly. 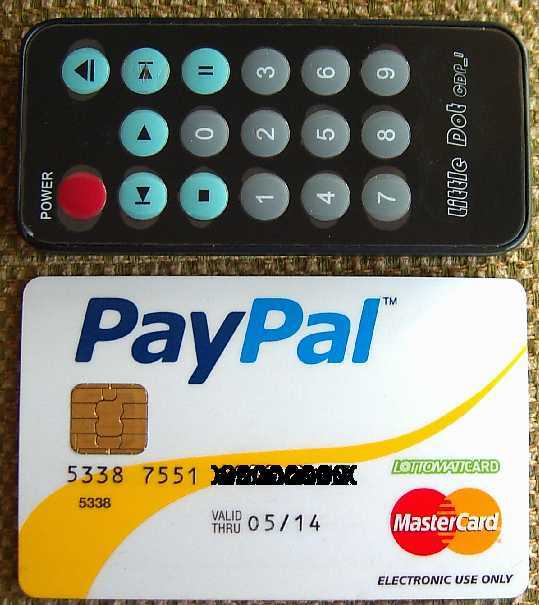 The remote control is extremely cool (really, it is like holding a credit card in hand, see pic above) but its operating range is extremely reduced: you need to point it straight to the CDP display to transmit any "order". Anyway, I've used many high-end remotes that work this way. Micro-switches in the front panel work well but on my test sample the pause switch didn't work. The EJECT command works only if the player is in STOP mode. The DAC_I operates quickly (3 seconds wait from switch-on to operating mode) but its various options might appear a bit confusing, especially to a novice. First of all you can choose the digital input, depending on which source you connect to the DAC. Choose between BNC, RCA, Toslink and USB by pressing the INPUT button. When you have selected the input, the display will show the upcoming signal sampling rate. This is the easy part. Then you're prompted to choose among the various settings of the digital conversion. Firstly, you can select the maximum input bit-rate, overriding the original source bit-rate. You can choose 16, 20 or 24 bit. Just press the FUNC button, choose the preferred bitrate and confirm by pressing the INPUT button to save your choice. If you don't select any bitrate, the DAC will automatically adapt to the source bitrate. Secondly, you can choose the maximum sampling rate. You can choose between 96 kHz and 192 kHz. Press the FUNC button to choose, then on the INPUT button to save the configuration. Thirdly, you can choose the slope of the digital filter, between SHARP (steep filtering) and SLOW (gentle filtering). The procedure is exactly as above, first FUNC then save with INPUT. Any configuration is permanently saved into the internal EPROM (memory) until you select a different configuration. You can, of course, leave the DAC_I operate with its default settings, i.e. leaving the source to determine bitrate and sampling. The USB input operates till 16 bit/48 kHz only. TNT-Audio. What is the effect of selecting a different bitrate on the DAC_I? Why should one override the input signal bitrate? What is the effect of selecting a different max sampling frequency, considering the DAC_I doesn't upsample, if I understand well? Little Dot. The bit-rate and frequency settings are MAX limiters for if you want to restrict the maximum input frequency/bit-rate. Generally you would just set it to 24 bit / 192 kHz. TNT-Audio. If the USB input can deal with 16 bit/48 kHz only, I can't exploit the potential of high resolution files, say, 24/192. Correct? Hence, playing 192 kHz files might put the DAC_I in trouble, correct? Little Dot. Yes, the USB can only handle 16/48 so 24/192 is not possible via USB. TNT-Audio. Which kind of technical difference do the two different filters have? (cut-off frequency and dB/oct ratio)? Little Dot. The cut off frequency is a switch between the DA chip's internal cut off frequency setting (see Wolfson's datasheet for details). TNT-Audio. When playing 48 kHz files the DAC displays 44.1 kHz. Does this mean the file sampling rate is somehow downsized/downsampled to 44.1 kHz? TNT-Audio. Why is the CDP_I warm-up initializing time so long? If you don't want to wait 30 seconds for the CDP_I to initialize, keep it in permanent stand-by mode. Power consumption is reduced to 3VA this way (though I'm strongly against stand-by mode, as you may know). Use BNC connection between the two units, as it should be the best one. Any 75 Ohm BNC cable will suffice, even the one supplied with the units. Your second best option should be coaxial (RCA) while you should leave the optical one just to cases where you need to electrically isolate the two units (in case of noise, electrical hum etc.). Feel free to experiment with different mains cables and absorbing feet. The units are quite lightweight and certainly can benefit from a replacement of the cheap stock feet (try Brightstar Isonodes, for example). Though the two units can be stacked one above the other I'd recommend to install them side to side, even placed this way they take the same room of a single, standard 43 cm unit (43.4 to be more precise)! Were you forced to stack them one above the other, place the DAC above the transport, as this will reduce top cover vibrations on CDP_I. For less than 400 €/pair these units represent, to the best of my knowledge, the least expensive CD transport & DAC combo on the market (not considering DIY kits, of course). The DAC, though being unable to play high resolution files (it stops at 16/48) also offers USB capability, which is a welcomed plus. Even the dual RCA - XLR output should be considered a rare and quite useful add-on, especially if you consider that you can connect two different amps to these outputs, simultaneously. I imagine you'd like to know how these units sound like and perform...you just have to fast forward to the second part of this article!